Since I looked into possible meanings of the story of Cain and Abel not long ago, that led me to the TV Tropes page of characters named Cain, or variants thereof. There are a lot of them across various media, many of them explicitly referencing their namesake, or at least generally mean and traitorous. In the X-Men comics, Professor Xavier’s older stepbrother is named Cain Marko, whose father married his widowed mother just for her money. 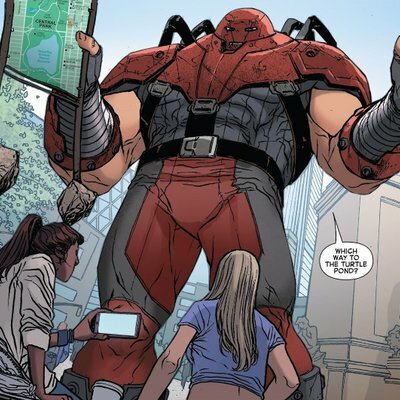 It’s amazing how many secret temples containing god-tier entities and forces there are in the Marvel world. 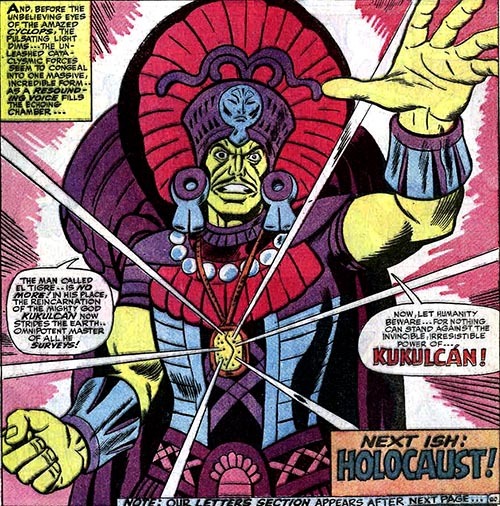 I’m reading a collection of old X-Men comics, and it was only about a year after the Juggernaut’s first appearance that the mutants took on a man possessed by Kukulkan, even though I think he was a generally beneficent god in Mayan mythology. 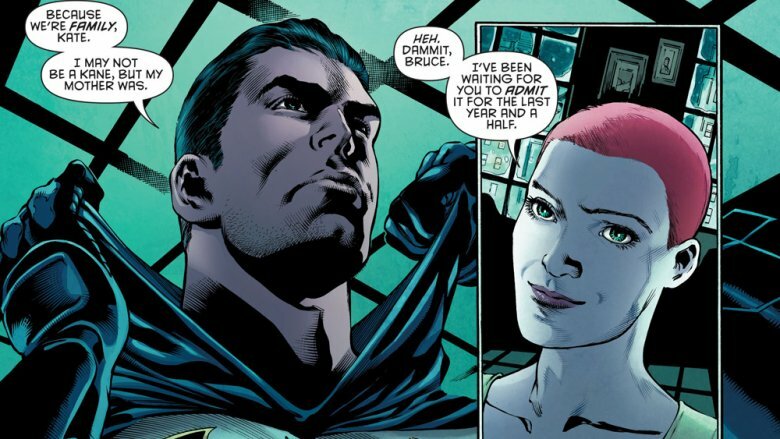 The various characters in the Batman franchise named Cain or Kane, some of whom are heroic (it’s even Bruce Wayne’s mother’s maiden name), were probably named in honor of Batman’s co-creator Bob Kane. There are quite a few in video games as well, but most are ones I’m not familiar with. Kane from the Command & Conquer series mostly likely IS the Biblical Cain. In the Legacy of Kane series, the titular character is an morally ambiguous immortal vampire, possibly a reference to the White Wolf role-playing games making Cain the first vampire. I don’t know much about those either, but I went to college with some people who played them. And that in turn is likely a variant on the Serpent-Seed Doctrine. The Mega Man X series has Dr. Cain, who’s not a bad guy, but does ignore warnings and cause a war between super-intelligent robots. He finds X in the ruins of Dr. Light’s laboratory, and while Light left instructions not to activate him, he does anyway. Then he uses X’s design to create the Replicants, a significant number of whom go rogue and become Mavericks. One character with whom I’m much more familiar is Kain Highwind from Final Fantasy IV, one of the most famous Dragoons (AKA Dragon Knights) in the series. The reference to the Biblical character is clearly intended here, due to his jealousy of and attempts to kill his surrogate brother and best friend, Cecil Harvey. He feels that the King of Baron, who basically raised the two of them after their biological parents died, favors Cecil; and he has feelings for Cecil’s girlfriend Rosa. This makes him susceptible to mind control, which he occasionally shakes off, but it kicks back in at the worst times. Working for Golbez, he seeks to steal the elemental crystals, fights against Cecil, and keeps Rosa prisoner. It turns out that Golbez is actually Cecil’s biological brother, and that he’s also under mind control. Both of them turn to the good and help out in the fight against Zemus, and then goes off into a self-induced exile. 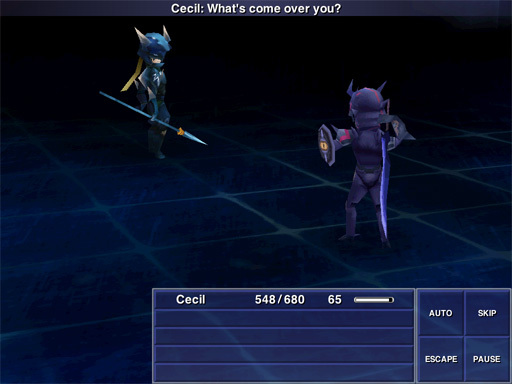 I understand a large part of the plot of The After Years involves Kain battling against a personification of his own dark past, as Cecil does on Mount Ordeals. I started playing The After Years, but I lost my save files. I’ll probably give it another shot later on, and hopefully find out where the files are so I can back them up. Speaking of Kain, I’ve come across the “describe a video game character badly” meme a few times, and it occurred to me that an accurate but somewhat vague description of Kain as a champion jumper who’s jealous of his best friend and prone to brainwashing could also fit another more famous video game character. 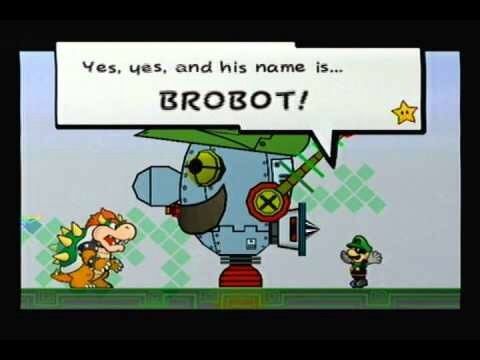 I haven’t yet played Super Paper Mario (I own it, but don’t have any consoles hooked up right now), but I know it gives an interesting role to Luigi. He’s hypnotized by Nastasia and becomes a minion of Count Bleck, going by the name of Mr. L.
It’s played for laughs in that nobody recognizes him in a paper-thin disguise, even his own twin brother. Still, it’s pretty dark when he’s trying to kill his closest relative and friend. Even though he’s under mind control, it’s suggested that his jealousy toward Mario is a significant part of what motivates his evil deeds. 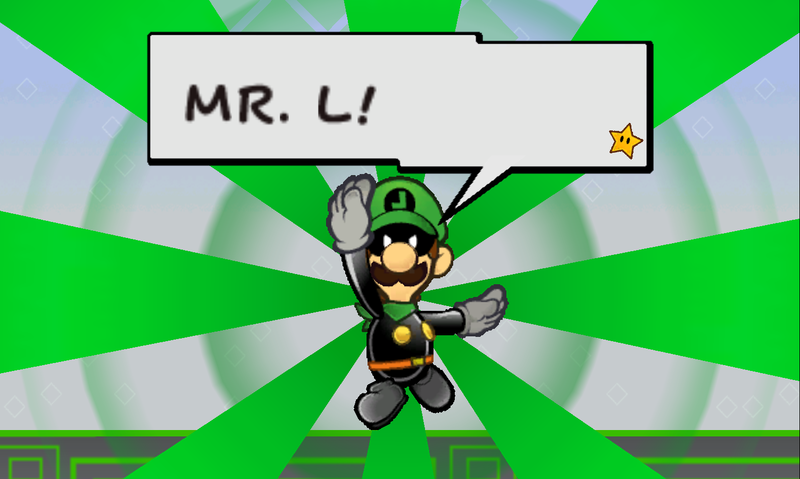 Mr. L displays traits that Luigi in his normal personality presumably keeps hidden, being bold, arrogant, and sarcastic, as well as having the skill to build battle robots. He even hits on on Peach, which is pretty creepy. I wonder if Daisy ever found out about that. Anyway, it puts Luigi in much the same role as Kain Highwind, and by extension the Biblical Cain, even if it’s only when he’s not in his right mind. That’s not the only time he was under mind control, either. 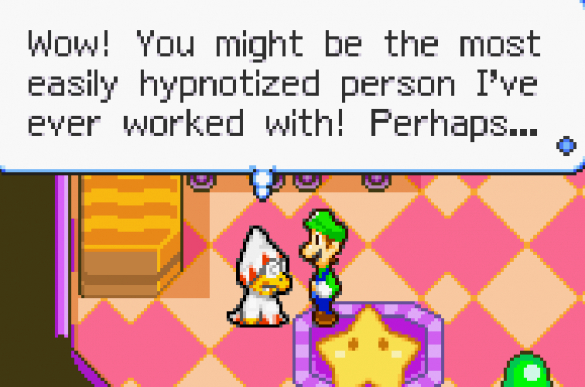 In Mario & Luigi: Superstar Saga, when Luigi has to find a cure for an ailing Mario, he has a Magikoopa (or, in the remake, the mystic healer Dr. Toadley) hypnotize him into thinking he’s Mario. This entry was posted in Christianity, Comics, Families, Final Fantasy, Games, Humor, Judaism, Mario, Mayan, Mega Man, Mythology, Names, Native American, Relationships, Religion, Video Games and tagged batman, bible, bob kane, brobot, cain and abel, cecil harvey, count bleck, dr. cain, dr. light, dr. toadley, dragoons, final fantasy iv, final fantasy the after years, genesis, golbez, juggernaut, kain highwind, kane, kukulkan, legacy of kane, luigi mario, mario and luigi: superstar saga, mavericks, mega man x, mr. l, nastasia, princess peach toadstool, professor charles xavier, psycho kamek, replicants, robots, rosa joanna farrell, serpent-seed doctrine, super paper mario, vampire the masquerade, vampires, white wolf, x-men, zemus. Bookmark the permalink. Not to mention the brother act of Cain and Abel in the DC comics, keepers of the House of Mystery and the House of Secrets, and most notably (in my opinion) embodied in the Sandman comics as the first murderer and first victim. Yeah, I remember their Sandman appearances. I particularly liked the association of the Land of Nod where Cain settled with the world of dreams, and how he was so angry at the idea of anyone ELSE killing Abel.